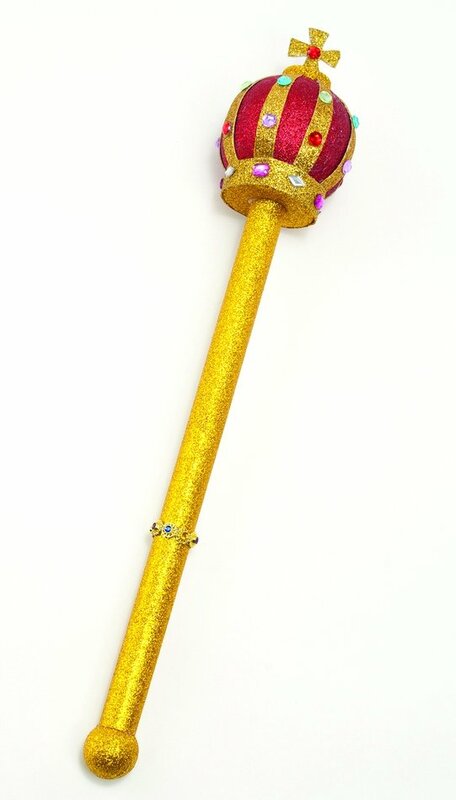 Glittering gold and red royal scepter ornamented with faux gemstones and a royal cross. 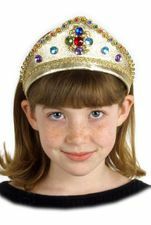 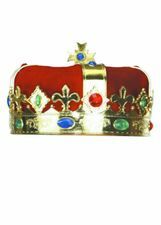 Great for your king, Queen Elizabeth, prince, or princess costume, or for Homecoming, Prom or Mardi Gras! 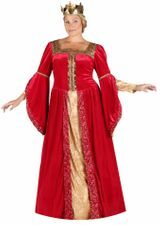 See more options in our King and Queen Costumes section!